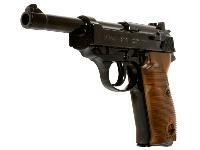 Learn more about the Walther P38 CO2 BB Pistol in Dennis Adler's Airgun Experience Blog. 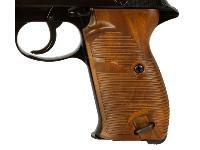 The P38 firearm was made famous as the German army sidearm during WWII. 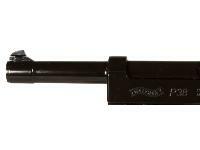 This CO2 BB gun by Walther is a faithful replica and will be a fun plinker. Things I liked: Authenticity, its as close to the real thing as you can get. Things I liked: Very faithful reproduction. If only the handles were real wood! 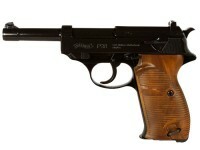 The real W P38 has a long 2 stage trigger pull as does this reproduction. This one smooth as butter after break-in. After racking slide for 1st shot, BB can roll out of barrel - I have targets set so barrel is always pointing up a bit. For the following 19 SA shots there are no BB roll out problems. The long barrel delivers strong muzz. veloc. (easily 400 fps) and great accuracy. What others should know: Fingernail polish needed on front sight at least. I did rear also. 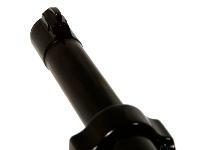 Be sure to tighten CO2 cartridge puncture screw amply and put small drop of Pellgun oil on every other charge's tip. 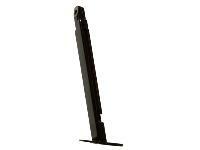 Buy another 5 mags (inexpensive) so you have 120 shots ready for each CO2 charge at the range. Things I liked: I have only tested this gun twice. Feels solid and had a fine punch to the blowback. Accuracy not impressive. When changing for the second CO2 it started to leak terribly. Tried to spray with silicon spray and used oil on the CO2 tip but with not success. Finally I decided to dismount it only to find that it was nearmost impossible to put back together agian (watch out - it has a spring at the right side that can easally pop away). After finding a german youtube clip on the internet I managed to put it together but was not able to fix the problem with the leak. 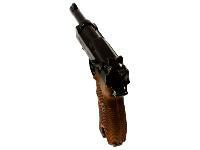 Thus only one CO2 canister and then the gun was just to throw in the garbage. I own well over 50 air pistols and this was by far my worst experience. 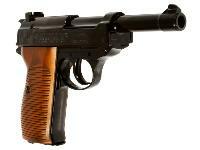 Still I will give it 2 stars as I like that Umarex tries to make historical replicas and that the gun fells nice in the hand. Things I would have changed: Make the thing work - not leak CO2. I have never seen one in the US, probably made specifically for the UK/European market. Or the US arm of the company didn't have an interest in bringing it in. 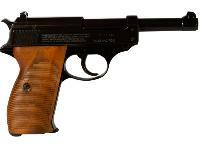 Do actual P38 wood grips fit on the C02 model? 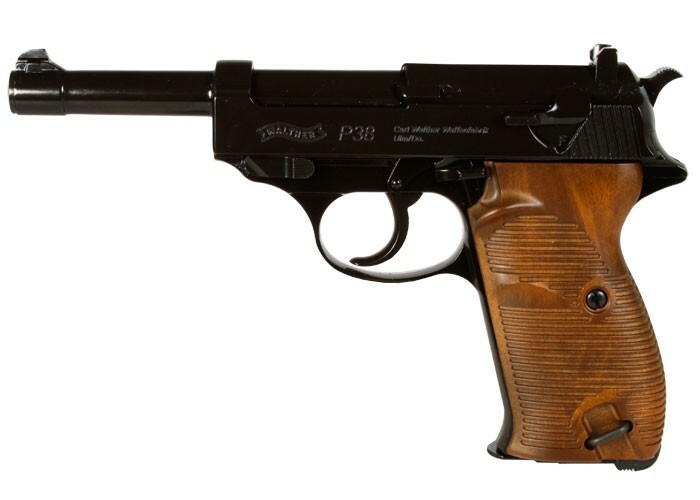 I dont think so i was hoping so i own real ac43 p38 with nickel refinish and walnut grips...i think co2 one grip pops off for co2 but right panel is attached..
Hey I was wondering if i can use plastic bbs for this, I have a match in a month and its ww11 themed and this would be perfect but I obviously cant use metal bbs/ pellets. Help?